I told you cover art was incoming! Guys, I can't tell you how much this book means to me. It is intensely personal for so many reasons, and I just hope and pray that you'll all love it as much as I do. This week has been FANTASTIC. 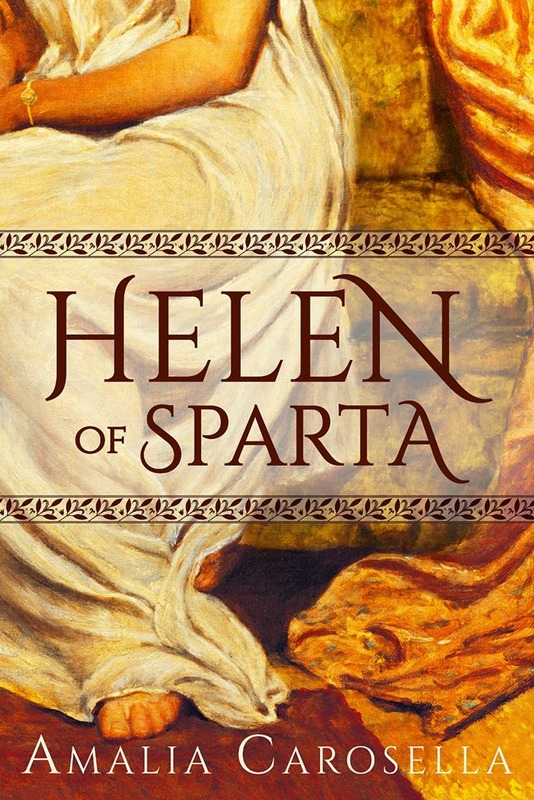 Firstly: HELEN OF SPARTA is on sale -- the paperback edition is just 6.99 on Amazon which is an incredible steal, so go forth and nab your copy now! Because seriously. Secondly, because I wrapped my copyedits for DAUGHTER OF A THOUSAND YEARS over the weekend, which is a phenomenal weight lifted. 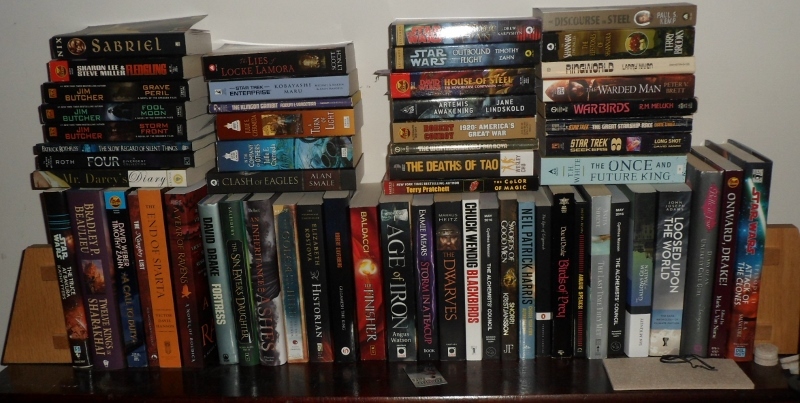 I may or may not have reorganized an entire category of books on my bookshelves as part of my procrastination efforts -- which was also pretty immensely satisfying, I'm not going to lie. 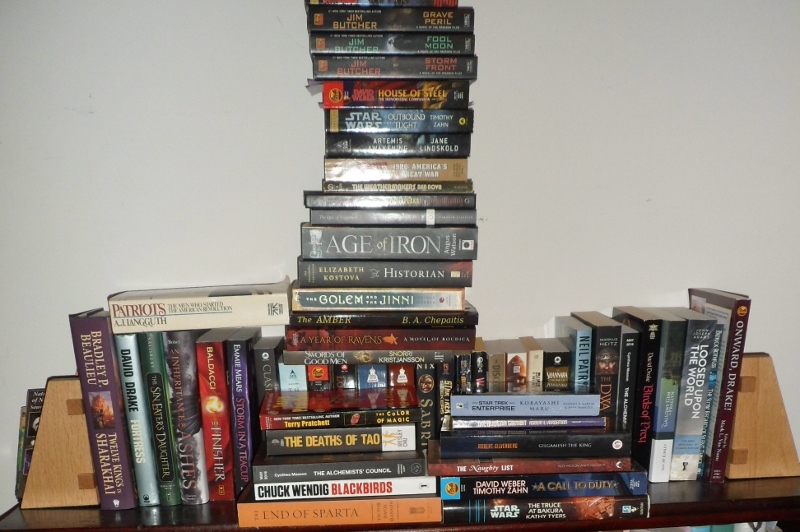 I REALLY hated having my YA books all split up across three different bookcases. Now they're MUCH more consolidated, and hopefully soon I can consolidate them even further, but that work might have to wait another 10 days or so. 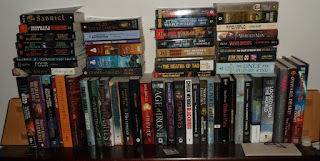 Apparently I have a habit of getting the first in a series in paperback like a fool. THIRDLY because I got a glimpse of some cover art concepts for TAMER OF HORSES, and you guys. YOU GUYS. The art was so beautiful I had literal tears in my eyes. Lane Brown, my cover artist, has done an absolutely incredible, fantastic, [insert the most superlative superlative you know here] job and I am just BEYOND excited about sharing it with you when everything is finalized -- which should be VERY soon. (I'm totally wishing I'd saved "phenomenal" for this paragraph now, because Lane Brown deserves it.) Newsletter Subscribers will get to see it FIRST though, so if you haven't subscribed yet, now's the time! 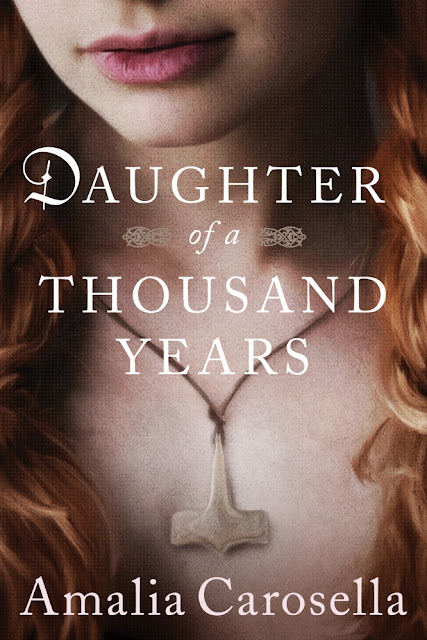 We're also in the final stages of cover design for DAUGHTER OF A THOUSAND YEARS and those concepts have been wonderful, too -- I felt like the designer reached into my brain and pulled out exactly what I'd been imagining. Which means you guys have a LOT of pretty to look forward to, and thrillingly, so do I! Oh -- don't be alarmed if you notice a few changes around the blog. I think I might have outgrown this particular theme so I'll be experimenting with some variations and designs. Hopefully it will be pretty painless for everyone.